Losing your stirrups? Can’t get your heels down? Losing your stirrups? Can’t get your heels down? Gripping so tightly your horse has gone dull? Here are five handy hints for developing a better, more effective leg position. 1. Use a mirror or have someone video you to check your position. Is your heel in line with your hip? If not, check that you aren’t tipping forward with your body and swinging your legs back. Facing the mirror, check that your knee is pointing forward in the same direction as the toe. If your heel is unable to drop comfortably, you can do some ankle exercises off the horse to stretch the Achilles tendon. 2. Ride without stirrups. 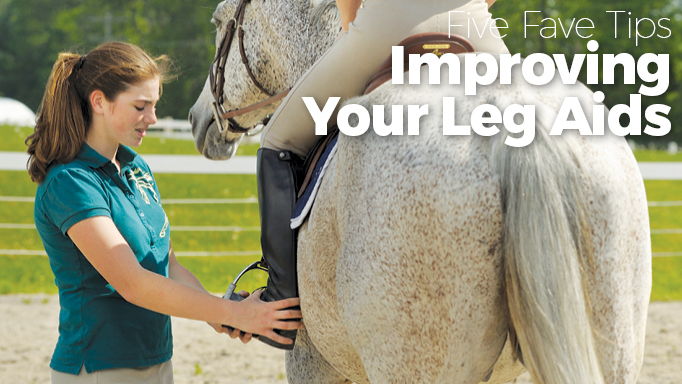 Dropping your stirrups can help lengthen your leg and open your hips. Sit deep in the saddle; allow your leg to relax downward and fall against the horse’s side while maintaining your foot position under your hips. Your back should remain supple to follow the movement of the horse. 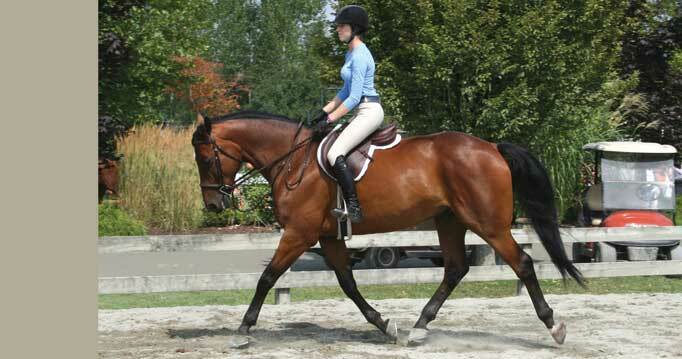 Start at the walk and progress to trot and canter once you are comfortable. If you feel any tension or your knees begin to creep up, go back to a slower pace. 3. Ride in two-point position. In the walk, push your weight into your heel with your seat just out of the saddle. Open your knee and relax your weight downward. Drop your heel as much as possible by relaxing your ankle. 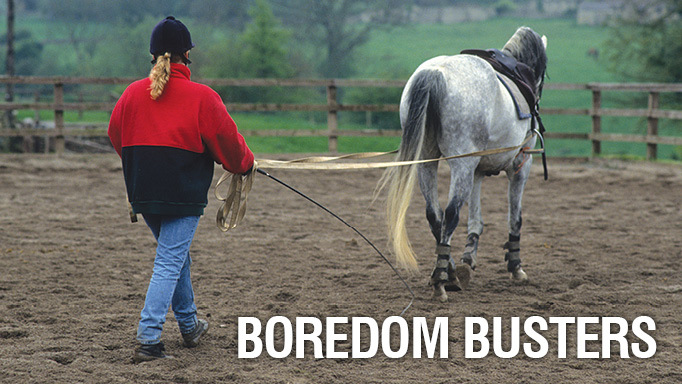 Once comfortable in this position at the walk, try it in trot and canter. 4. Check your stirrup length. If you’ve done the above exercises and your stirrups no longer match up to the ball of your foot, you may need to lengthen them. 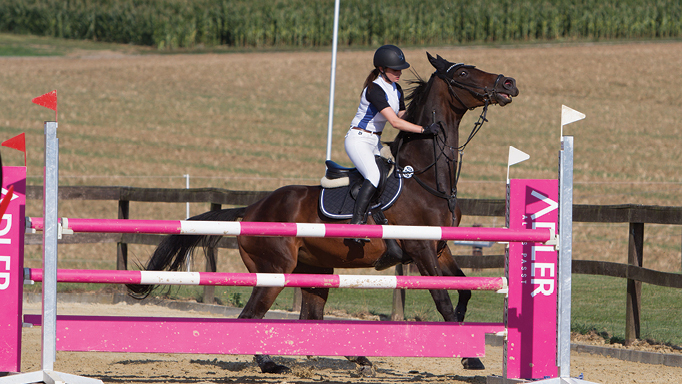 However, if you find you have a loose lower leg, your body tips forward over jumps, or you frequently lose your stirrups, you may need to shorten them a hole or two. Adjust your stirrups so that the angle between your thigh and knee is approximately 90-105 degrees. To get comfortable with a shorter stirrup length, this exercise is recommended by Frank Madden. At the posting trot, you should feel pressure from your calf to your knee and thigh as you rise. At the highest point of the post, concentrate on pushing your weight into your heels. On the descent, your thigh muscles should ease you back into the saddle. Continue until you feel the burn, then take a break before you lose position. 5. Be consistent. When it comes to giving leg aids, position and pressure are the communication tools. Your horse’s responsiveness will determine how much pressure to use. Always strive to use the lightest aid possible and don’t change it or some horses may simply wait for the “louder” signal. Think of your leg aids as the gas pedal in your car; you increase pressure to accelerate, but once you have reached the speed you want, you lighten the pressure while still keeping your foot on the pedal. Beth Underhill explains how to regroup mentally and physically after a minor disaster. 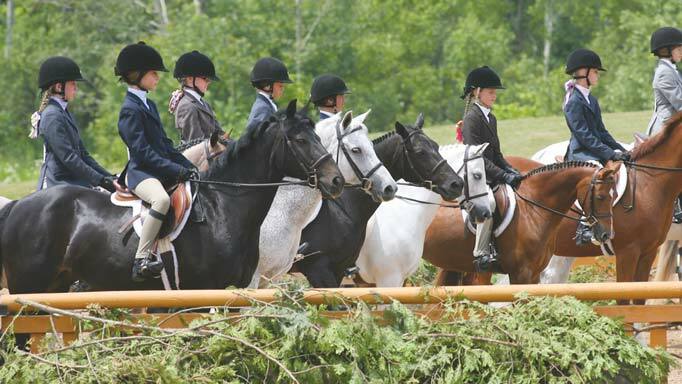 Riding coach and judge Kitty Bowland shares some important show etiquette tips.